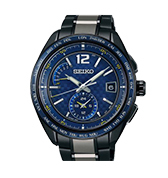 In 1881, the origins of Seiko was founded by Kintaro Hattori when he started a watch and jewelry shop. But in 1892, he opened Seikosha to produce clocks. 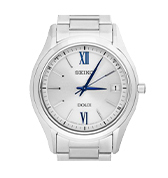 It was not until 1924 that the company Seiko produced their first set of Seiko watches. 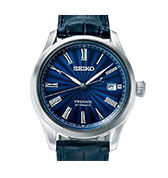 Seiko introduced the world to the first production quartz watch in 1969 with the Astron. Breaking more barriers, Seiko produced the first Kinetic watch in the late 1980s. 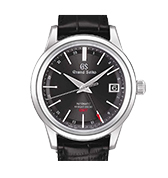 Seiko has been a joint factory with Orient since 1985. 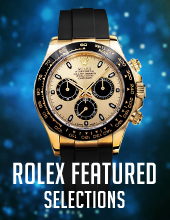 Within the brand, there are different watch collections like the Prospex Land, Astron and 8X Series. Wristwatches have been known to stand for style, elegance, class, maturity, and confidence ever since the nineteenth century. No matter the profession or gender, people have been dousing themselves and showcasing their love for fashion and style by carrying an elegantly designed timepiece on their wrists, and a new Seiko watch is the perfect piece to make a statement. Wristwatches first came into fashion when the battle-worn soldiers came back from the First World War wearing pocket watches in a self-made cocoon on their arms. The fashion quickly spread, and people started to try and turn the odd design into a fashion statement. Eventually, the idea of wearing a watch on one’s wrist was born. People can have the most expensive of smartphones, but it is a particular kind of wristwatch that does the talking for its wearer. New Seiko watch designs are constantly being created in order to support this practice. Long ago, in the late nineteenth century, there was a young man with a dream. Kintaro Hattori, opened a workshop to repair and design watches and clocks in Tokyo. 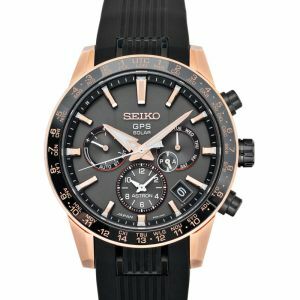 His hard work, dedication, and love for innovation are still running through the Seiko watch company which is always looking for new, creative ways to build a fashion statement which Hattori was famous for. 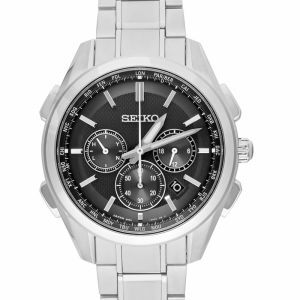 Seiko is a Japanese word which literally means 'success.' Hattori was not overconfident when he named his company such. Even a hundred and thirty-seven years later, the company still holds reverence and respect among the watch suppliers. 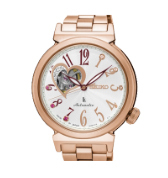 Seiko watches have been known to set the standard for fashion and style. Originally a watch repair shop, Seiko has since then worked hard and through its innovation has reached the top of the line when it comes to timepieces. Hattori is known for a lot of 'world’s first.' Under his banner, the company introduced the world’s first pocket watch, the world’s first quartz watch, six-digit LCD quartz watch, multi-function digital watch, diver’s watch with a titanium case, TV watch, voice recording watch, and so on and so forth. New Seiko watches continue to follow tradition and take the world by storm. 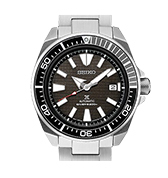 Available in seven different case coverings, Seiko 5 is 43.4 mm in size and is a hardlex glass/crystal type. Its other features entail 21 jewels. Available in men and women, Seiko’s Presage is a combination of Japanese aesthetic and Seiko’s innovative watch ideas with the more traditional craftsmanship. This particular piece is an original design of Seiko. It gives the owner the best of both worlds, the taste of traditional craft and the essence of the modern times. Seiko has introduced a lot of firsts, and not only in Japan but worldwide as well. 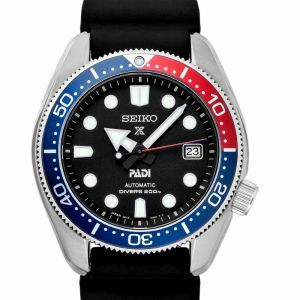 Seiko launched its first Seiko diver’s watch in 1965, establishing a new ground or pinnacle for the rest of the world to follow; and it has not stopped ever since. It all started with a letter from a frustrated diver complaining that his watch stopped when he crossed a certain water level during his dives. Thus, began the journey of years of research and hard work which led to the invention of the first diver’s watch. The Seiko Prospex is the ultimate package deal for adventure seekers. Be it divers or mountain fanatics, Seiko will not give up on you, be it underwater, sky or on land – Seiko is the timepiece to choose. Seiko has constantly been striving to be better and better with age and time. Available for, both, men and women. Available for men only, at this time, Astron GPS Solar is the world’s first GPS solar watch. Just connect with a GPS network and align it with your time zone. Running on pure light energy, the device will never run out of battery or need a recharge. The Astron brand also has a chronograph setting installed, which offers an extremely simple to use a six-hour long chronograph. A chronograph is a device which is used to measure time in its minute seconds, ex: a stopwatch. A watch is unisexual; adorned by men and women alike. The charisma that the watch exerts speaks for itself. 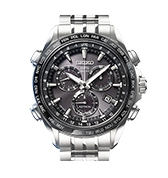 Seiko watches cater to the needs of both men and women. While the watches for men exert more masculinity, roughness, and have a bit of an edge to the design; the ones for women are sleek, feminine, and make the owner a bit soft at the knees. 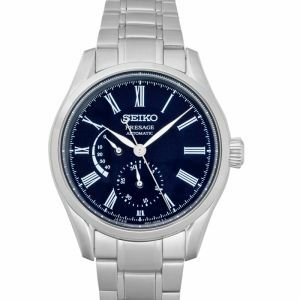 Seiko watches have an enormous collection which the buyers can browse through and select the design that suits their personality best. 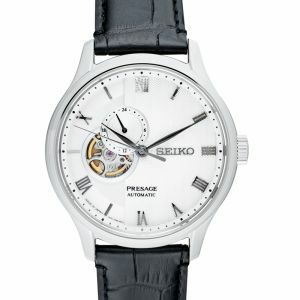 Where to buy Seiko watches? 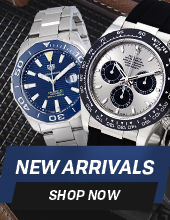 Seiko is an international brand. Its branches are dispersed throughout the world and are easily accessible. 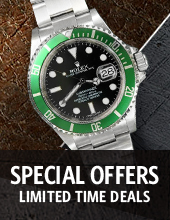 WatchShopping.com is a trusted retailer of fine, authentic luxury watches online with unbeatable prices and selection. 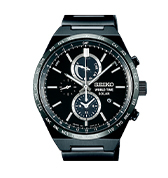 One of Seiko’s mission is to create precise and beautiful watches. And that’s exactly what they have done. 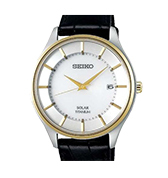 They first released the world’s first quartz watch in 1969 with the Seiko Quartz Astron. Fast forward to 2012 and the company puts out another world’s first - the first GPS solar watch which was the Seiko Astron. Other popular collections are their Prospex Diver, Presage and Brightz. What is a Solar Watch?